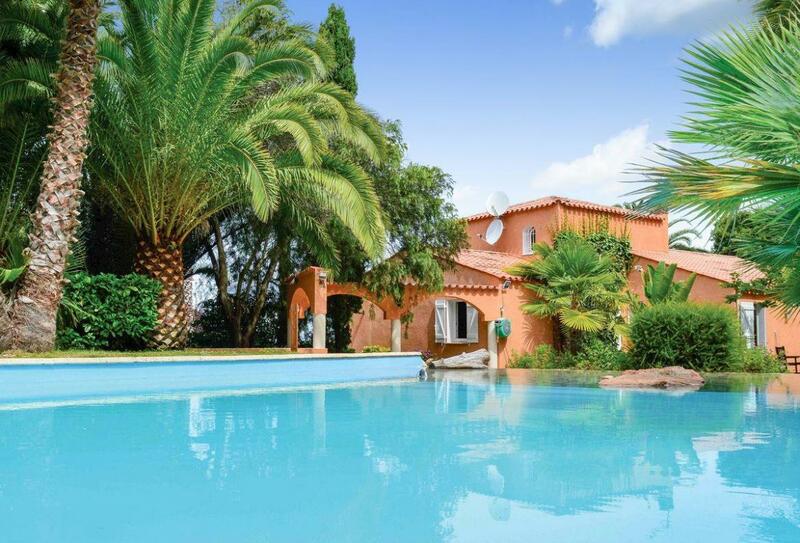 This magnificent villa surrounded by exotic gardens and boasting a superb outdoor pool is a stunning holiday home, a real paradise nestled quietly in the immediate vicinity of Ajaccio. There are various gym machines available and several outdoor lounges and terraces to enjoy the al-fresco lifestyle. The popular family friendly Ricanto beach is close by via an easy access road and offers sailing and water sports activities. Not to be missed is the tour of the Napoleon city of Ajaccio and the beautiful Iles Sanguinaires peninsula. For a day trip, by boat or by car, the Scandola Nature Reserve, on the coast of western Corsica, is one of the natural highlights in Corsica. The house owner lives on site. Beach 11km. Shop and restaurant 4km. Location: 4km from Cuttoli-Corticchiato (shops and restaurants), 11km from Ricanto beach, 12km from Ajaccio (city, airport).